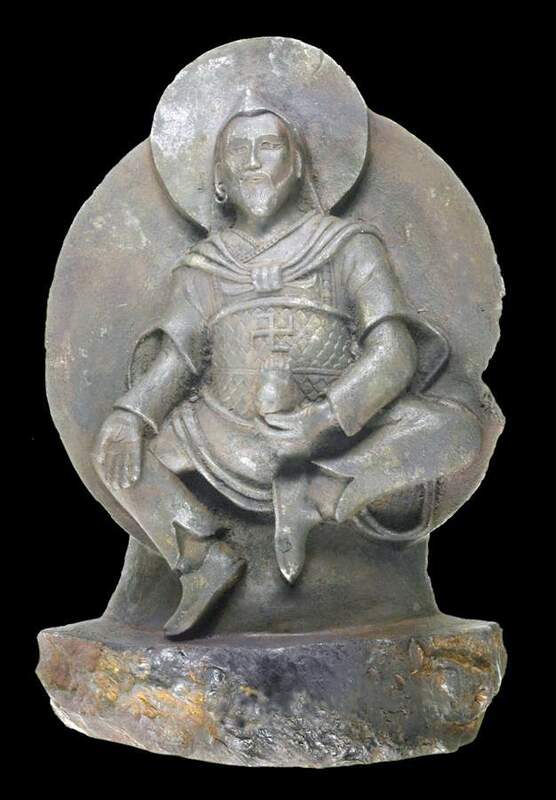 Buddhist statue which was first recovered by a Nazi expedition in 1938 has been analysed by scientists and has been found to be carved from a meteorite. The findings, published in Meteoritics and Planetary Science, reveal the priceless statue to be a rare ataxite class of meteorite. The statue was discovered in 1938 by an expedition of German scientists led by renowned zoologist Ernst Scha”fer. Scha”fer would later claim that he accepted SS support to advance his scientific research into the wildlife and anthropology of Tibet. “The statue was chiseled from a fragment of the Chinga meteorite which crashed into the border areas between Mongolia and Siberia about 15,000 years ago,” said Dr Buchner. Even today one of the most famous worship sites in the world, Mecca in Saudi Arabia, is based upon the Black Stone, believed to be a stony meteorite. Dr Buchner’s team believe the Iron Man originated from the Bon culture of the 11th Century. The Iron Man statue is the only known illustration of a human figure to be carved into a meteorite, which means we have nothing to compare it to when assessing value.